Jalon Arthur, M.S. serves as Program Director of CeaseFire, Cure Violence’s Illinois program partner, and oversees management of 24 program sites (18 in Chicago; 6 outside of Chicago); CeaseFire’s hospital interruption program in all three Level-I trauma centers in Chicago (Northwestern, Stroger and Advocate Christ) and CeaseFire’s Orr High School initiative on Chicago’s West Side. With more than eleven years of program experience at CeaseFire, Mr. Arthur has introduced innovative violence intervention strategies and has played a strong role in national and international replication of the Cure Violence health model including New York City, Baltimore, New Orleans, Puerto Rico, South Africa and more. Mr. Arthur has passionately served in key Cure Violence program roles including Outreach Worker, Documentation Coordinator, Program Coordinator, Program Manager of Operations, National Technical Assistant and travels nationally and internationally to teach and train new program sites to successfully adopt a health approach to violence prevention. 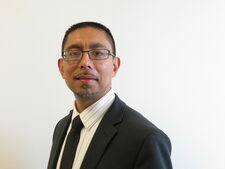 Eddie Bocanegra, B.S.W., is Co-Executive Director of the YMCA Youth and Safety Violence Prevention Program in Chicago. Eddie has a rich background in community organizing, violence prevention and youth development beginning with his work for the Chicago Project for Violence Prevention (now known as Cure Violence). Bocanegra specializes in program development targeting populations most impacted by violence as well as providing training and consultation on trauma. Two of his notable programs are Grupo Consuelo and Urban Warriors. Grupo Consuelo is a bereavement support group for parents who lost their kids to violence. Urban Warriors is a peer support program that brings together post 9/11 combat veterans and at-risk youth who have experienced high levels of trauma. His work is chronicled in the documentary The Interrupters. In 2011 he received the Heroes award from Governor Quinn of Illinois, and had the honor to speak at the United Nations. In addition, Yale, USC and dozens of universities have invited Mr. Bocanegra to present on panels and give class lectures on violence prevention and social justice around ex-offenders. He is the recipient of the 2013 Marciniak Award, Bright Promise Foundation. In November 2013, Mr. Bocanegra was invited by the U.S Embassy in Spain to do a series of talks on best practices around violence prevention. Bocanegra is currently a graduate student at the University of Chicago School of Social Service Administration and is a Laurence Lynn Fellow. He is a proud board member of the Community Renewal Society a social justice organization. Kathryn Bocanegra is a Licensed Clinical Social Worker and leads Enlace Chicago’s violence prevention department. In her career in public safety she has managed community coalitions on early prevention and programmatic initiatives that range from school-based efforts, street intervention, to re-entry. Her efforts received recognition for outstanding community strategy in violence prevention from LISC Chicago (Chicago Neighborhood Development Awards) and MetLife Foundation (Community- Police partnership). Kathryn is a member of the Illinois Sentencing Policy Advisory Committee and was recently named to the Governor's Commission on Criminal Justice and Sentencing Reform. In addition, Kathryn is a doctoral student at the University of Chicago in social work and her research interests encompass community violence prevention, developmental life course criminology, and sentencing policy. As the program supervisor of UCAN’s 360° Model and HomeWorks initiatives, Jacob Dancer III, A.B. ’89, A.M. ’04, is responsible for two programs designed to help address socio-emotional needs of students, including managing psychotherapists and clinical interns and working with the schools. An agency devoted to the empowerment, education and healing of youth and families who have suffered from trauma, abuse or neglect, UCAN began HomeWorks nearly 20 years ago. The program provides a continuum of services to families that have a student at risk of truancy, dropout or expulsion to help support the student’s success. For the 360° Model program, which began at the start of the school year in 2009, UCAN clinicians work in six Chicago public schools, offering therapy, mentoring groups and other services to recognize the impact of violence and trauma for students. The program began with three schools run in collaboration with AUSL, the Academy for Urban School Leadership, and added three more schools this year, including two through the Office of Turnaround Schools of Chicago Public Schools. Elizabeth Dozier is the principal of Fenger High School. In 2009, she was charged with transforming one of Chicago’s most challenging schools. Under her leadership the school has seen a 15 percent decrease in the drop-out rate, a 75 percent decrease in misconducts, a 38 percent increase in the percentage of freshmen on-track to graduate on time and double digit increases in attendance, high school graduation and college enrollment. Ms. Dozier is a Nationally Board Certified Teacher in Mathematics and graduate of the New Leaders principal preparation program. 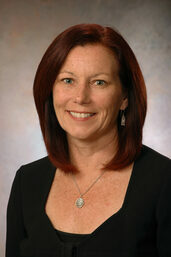 She holds a bachelor’s degree in Business and a Master’s Degree in Educational Leadership. Promoting the well-being of children from birth by supporting and strengthening their families in and with their communities.Kate Goetz is a Licensed Clinical Social Worker specializing in working with children who have experienced trauma, and their families. Since 2010 she has been Supervisor and Infant Mental Health Specialist for the Chicago Safe Start program at Family Focus Englewood, providing home-based psychotherapy to families with children under 6 who have been exposed to violence, as well as coalition-building and public awareness activities related to young children's exposure to violence, on the mid-south side of Chicago. She has previously worked in a variety of community mental health, child welfare, and school-based settings in predominantly low-income urban communities. Kate is trained in Child-Parent Psychotherapy; Attachment, Self-Regulation and Competency (ARC); and Eye Movement Desensitization and Reprocessing (EMDR). She is passionate about delivering high-quality services in under-resourced communities, to help children and parents heal from trauma, break intergenerational cycles of violence, and experience joyful and satisfying family relationships. Neil Guterman is the Dean, Mose & Sylvia Firestone Professor, and director of the Beatrice Cummings Mayer Program in Violence Prevention at the University of Chicago School of Social Service Administration. 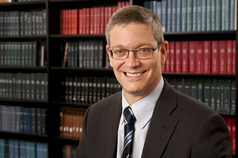 He joined the University of Chicago faculty as professor in 2006 and was appointed dean at SSA in 2010. Professor Guterman is internationally recognized for his research and scholarly work on issues related to child abuse and violence prevention. Preventing child maltreatment before it occurs and advancing violence prevention strategies form a special focus of Professor Guterman’s research. His research studies on child abuse prevention have been funded by the Centers for Disease Control and Prevention, National Institutes of Health, the Children’s Bureau in the Department of Health & Human Services, and a number of private foundations, including the McCormick Foundation, the Pritzker Early Childhood Foundation, the Nathan Cummings Foundation, the Pew Charitable Trusts, and the Oscar G. & Elsa S. Mayer Family Foundation. As director of the Beatrice Cummings Mayer Violence Prevention Program at SSA, Professor Guterman established the nation’s first violence prevention training program in a school of social work. This program prepares students to think and act strategically and proactively, and implement evidence-based strategies that are effective, practical, and results-oriented. SSA graduates from the first cohorts have assumed leadership positions in violence prevention settings around the U.S., including home- and center-based early prevention services, school-based youth and domestic violence prevention programs, and advocacy and community-based organizations. 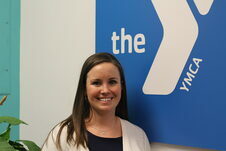 Meg Helder is the Director of Program Operations for Y's Youth Safety and Violence Prevention initiative (YSVP). At YSVP, she manages programming which serves more than 250 per year across 6 Chicago communities (South Chicago, Chicago Lawn, Bronzeville, Pilsen, Little Village, Humboldt Park). In the past she has worked with urban youth in several roles, managing, facilitating, and supporting diversion programming, providing clinical social work services to youth impacted by trauma, and as an attorney for youth in child protection, juvenile justice, school expulsion and special education proceedings. Meg has a J.D. with a specialization in child law and public interest, and a master’s degree in social work from Loyola University Chicago. Nosheen Hydari, LMFT, is a Psychotherapist at Community Counseling Centers of Chicago (C4), Cook County Jail Mental Health Transition Center, and Northside Center for Relationship Counseling. In her role at C4, Nosheen has provided crisis services to hundreds of children and adults in severe psychiatric distress, many of whom are victims of trauma. At Cook County Jail, she provides therapy to inmates with the goal of reducing recidivism often caused by a lack of resources and safe alternatives for individuals who entered into the correctional system and have not been able to transition out. Trained in Systemic Therapy at Northwestern University's The Family Institute, Nosheen's vantage point as a therapist working with a diverse population within the city of Chicago allows her to see what happens when individuals lack the treatment they need to overcome distress, and also what happens when individuals receive the help they need. David A. Kelly is Catholic priest of the Missionaries of the Precious Blood. He has worked for Kolbe House at Assumption, a parish-based jail ministry of the Archdiocese of Chicago since 1985. 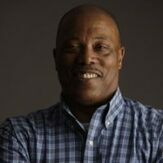 For more than thirty years he has worked as a chaplain in Cook County Jail and Cook County Juvenile Temporary Detention Center. He has had experience working in jails/prisons in Ohio and Florida. Divinity, Masters of Arts in Cross Cultural Studies and a Doctorate of Ministry (D.Min) from Catholic Theological Union in Chicago. His doctoral thesis is entitled: “Responding to Violence among Urban Youth: a Restorative Approach”. He has been trained and certified as a mediator from DePaul University and has received training in the restorative practice of Peacemaking Circles. 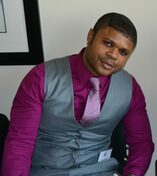 He has published articles and spoken on reconciliation, restorative justice and jail/detention ministry. Rebecca Levin, MPH, is the Strategic Director of the Injury Prevention and Research Center at Ann & Robert H. Lurie Children’s Hospital of Chicago. She directs the Strengthening Chicago’s Youth (SCY) violence prevention collaborative, which is building capacity among stakeholders in multiple sectors to connect, collaborate and mobilize around a public health approach to violence prevention. She is the principal investigator on the NIH-funded Community-Academic Collaboration to Prevent Violence in Chicago and leads dissemination efforts for the Illinois Violent Death Reporting System. Before coming to Lurie Children’s in 2011, Ms. Levin worked at the American Academy of Pediatrics for 12 years, overseeing all violence and injury prevention efforts. Ms. Levin received her bachelor’s degree in Integrated Science and Biology from Northwestern University and her master’s degree in Health Policy and Administration from the University of Illinois at Chicago. In 2005, Tony came to Safer Foundation in Chicago, Illinois to direct the organization’s first reentry housing initiative. He is currently the Director of Policy & Advocacy for Safer Foundation, directing the organization’s legislative and administrative efforts to eliminate the systemic barriers to employment for people with criminal records in the state of Illinois. Tony has consulted, developed and directed programs for people who were chemically dependent with criminal records for over 20 years. Tony’s previous experience includes directing pre-release reentry programming for the Illinois Department of Human Services and developing Drug Prevention and Economic Development programs in Chicago Public Housing communities were he was the recipient of two National Association of Housing and Redevelopment Official Awards (NAHRO) for his work.Tony holds a bachelor’s degree from Tennessee State University and certification as an Alcohol and Drug Prevention Specialist in the state of Illinois. Rev. Carol Reese is the Violence Prevention Coordinator in the Department of Trauma at John H. Stroger, Jr. Hospital of Cook County. She has 15 years experience at Stroger, 10 of which have been in Trauma. Rev. Reese is a priest in the Episcopal Church and is cross-trained as a social worker and hospital chaplain. She served for 11 years as executive director of AIDS Pastoral Care Network in Chicago. Rev. Reese directs projects integrating spiritual care, mental health services, CeaseFire programs, palliative care best practices, violence prevention, and trauma-informed care into the work of the Department of Trauma. She has published on the extent of PTSD symptoms among urban trauma patients and their families. Rev. Reese is the Principal Investigator for the Gift of Hope Family Support Fellowship and Stroger site Principal Investigator for a partnership with the University of Chicago and Drexel University implementing a hospital-based violence prevention program, Healing Hurt People – Chicago. 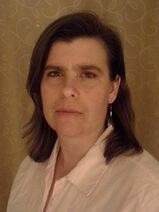 Mary Reynolds, M.A., MSW, LCSW, ICDVP, I/EDMH-C, is the Director of Violence Prevention & Intervention Programs at Casa Central. She is a graduate of the Erikson Institute with a post-graduate certificate in Infant Mental Health, and has worked with children impacted by domestic violence for more than 10 years in both domestic violence and community mental health service settings. Since 2007, Mary has worked with Illinois Safe From the Start programs, providing therapy and family support services for very young children, birth to five, and their families, who have been impacted by violence and trauma. Mary is trained in Child-Parent Psychotherapy; Attachment, Self-Regulation & Competency (ARC); and Eye Movement Desensitization and Reprocessing (EMDR). Janey Rountree*, JD, is the Deputy Chief of Staff for Public Safety for Mayor Rahm Emanuel. In her current role, she coordinates the city’s violence prevention and juvenile justice strategies and manages the City’s public safety portfolio, including issues related to the Police Department, Fire Department, Office of Emergency Management, and police oversight agencies. In her role, she helped form the Mayors Commission for a Safer Chicago, a group of more than 130 city and community leaders who are working together to implement recommendations to improve employment, health and safety outcomes for youth. She also helped create the Interagency Domestic Violence Task Force, which is piloting a new, proactive response to incidents of domestic violence and helped the Mayor pass a landmark bill requiring the state to automatically expunge certain juvenile arrest records. 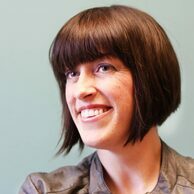 Prior to joining the Chicago Mayor's office in May 2013, Janey was the Firearms Policy Coordinator for New York City’s Mayor Michael R. Bloomberg, where she conducted national undercover investigations of illegal gun trafficking at gun shows, in retail stores and online and wrote the Blueprint for Federal Gun Policy. Prior to her service in government, Janey was an associate at Sachnoff & Weaver in Chicago and Morvillo, Abromowitz, Grand, Iason, Anello & Bohrer in New York City. Before law school, she taught English in a high school in Maine, worked on a lobster boat, and was a program assistant at the Open Society Institute. 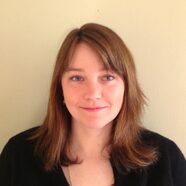 Janey is a graduate of Duke Law School and Williams College and grew up in Hudson, Ohio. 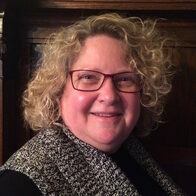 Deborah Gorman-Smith is a Professor at the University of Chicago School of Social Service Administration and Principal Investigator and director of the Chicago Center for Youth Violence Prevention, one of 6 national Academic Centers of Excellence funded by the Centers for Disease Control and Prevention. Her program of research, grounded in a public health perspective, is focused on advancing knowledge about development, risk, and prevention of aggression and violence, with specific focus on minority youth living in poor urban settings. Gorman-Smith has been or currently is Principal or Co-Principal Investigator on several longitudinal risk and preventive intervention studies funded by NICHD, NIDA, CDC-P, SAMHSA and the W.T. Grant Foundation. Gorman-Smith has published extensively in areas related to youth violence, including the relationship between community characteristics, family functioning and aggression and violence, including partner violence and the impact of family-focused preventive interventions. She also serves as Senior Research Fellow with the Coalition for Evidence Based Policy—a nonprofit, nonpartisan organization whose mission is to promote government policy based on rigorous evidence of program effectiveness. She currently serves as the President for the Society for Prevention Research, in addition to her service on other national, state, and university committees. She served as a visiting scholar at the Joint Center for Poverty Research at Northwestern University/University of Chicago. Gorman-Smith was recently appointed to the Board of Scientific Counselors, National Center for Injury Prevention and Control at the Centers for Disease Control (CDC) by Kathleen Sebelius, Secretary of the U.S. Department of Health and Human Services (HHS). The Board advises and makes recommendations to the Secretary, HHS, and the Director, CDC, regarding feasible goals for the prevention and control of injury.